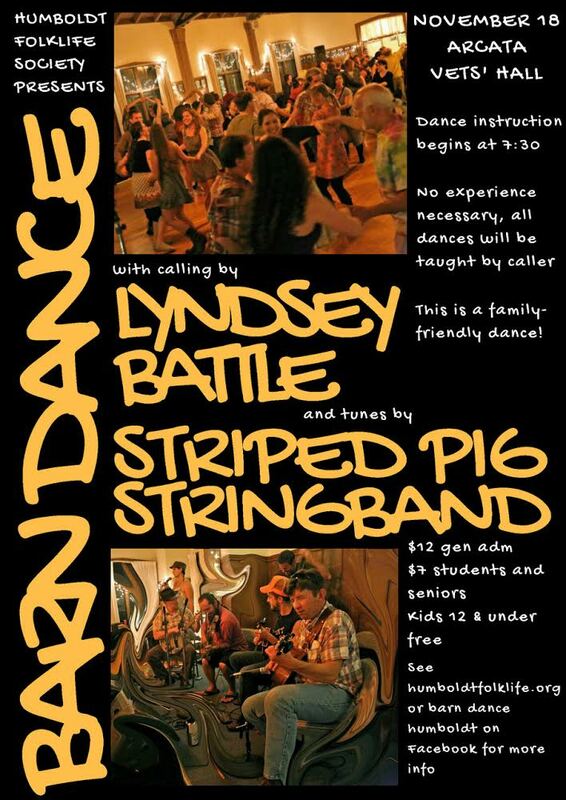 Kick off the holiday season by laughing at yourself and partner as you swing round and round to the uptempo string masters, Striped Pig Stringband. Don't worry, the fabulous Lyndsey Battle will carefully lead you through each step. Arcata Veteran's Hall, 7:30-11:00 p.m.